An effective pulping process for recovered paper requires special machine technologies that meet the various requirements of the paper industry. 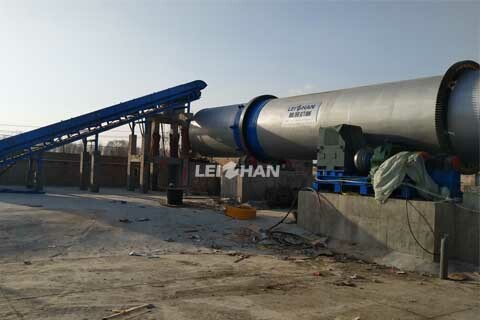 Drum Pulper is a professional equipment developed by Leizhan company for efficient pulping of stock consistencies up to 18% and for gentle and effective separation of fibers and rejects. Drum Pulper is already set for current trends such as the clear increase in the reject portion of recovered paper and the constantly rising recycling rate. Thanks to the machine technology optimized by Leizhan company, the quality of board and packaging paper, for example, is kept at the same high level here. ● It can maintain the original size of impurities, adhesives and other reject, which is beneficial for removal in following screening process. So that the pressure of removing impurities of the following equipment can be reduced. ● Low Running current. Power consumption is 50% lower than intermittent high consistency pulper. No wearing parts – low running costs. ● Drum pulper has both impurity removal and screening functions. Long pulping residence time, sufficient fiber relief, low rate fine fiber loss.